Ford ceases production of the rear-wheel drive, V8, Panther platform, which includes Lincoln Town Cars, on Thursday. It was ironic to see a bullet-riddled 1981 Town Car at a recent Birmingham, Alabama auction. Ford started production of the smaller Town Car in 1981 as a replacement for their larger-than-life 1979 Lincoln Continental. The Town Car has been Lincoln's flagship automobile for more than 30 years. From grandmas to gangsters the Lincoln Town Car has many fans. 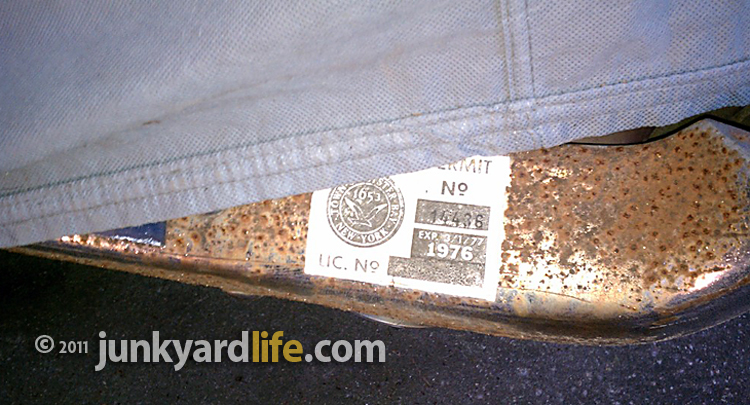 Taxi and limousine drivers swear by their durability. Unfortunately, rear-wheel drive Ford sedans' days are numbered. 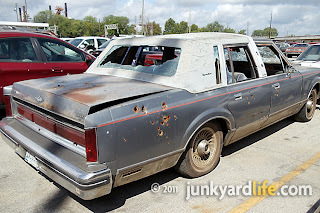 When the last Town Car rolls off the St. Thomas, Ontario assembly line another icon of America's roadways will be dead. Notice the seat belt tied to the steering wheel? It keeps the front wheels straight with the transmission in neutral while towing. 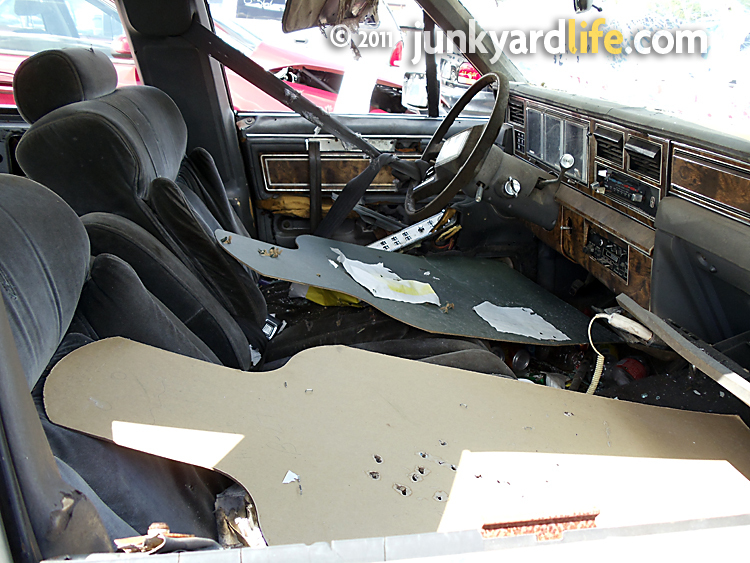 The gray 1981 Town Car included four cardboard corpses. These were uncommon optional equipment for a full-size luxury sedan, even if it was at an impounded vehicle auction. 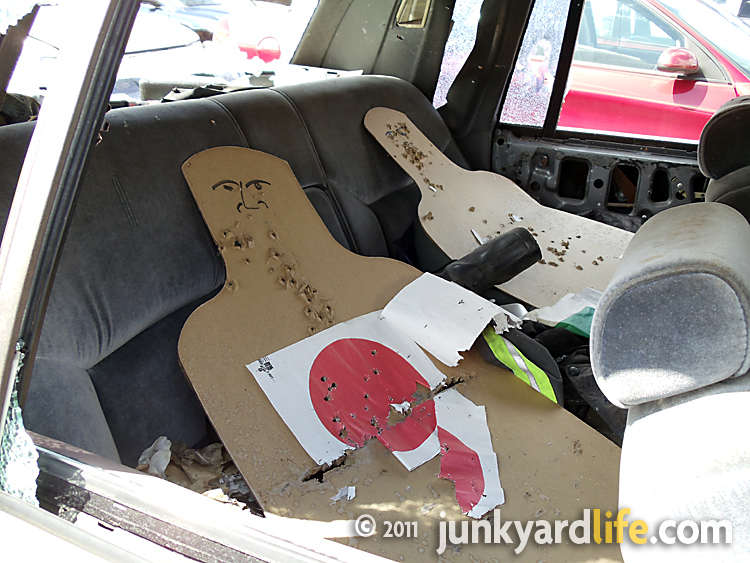 I noticed the rear passengers appeared to have sustained more kill shots. And they say the back seat is safer? 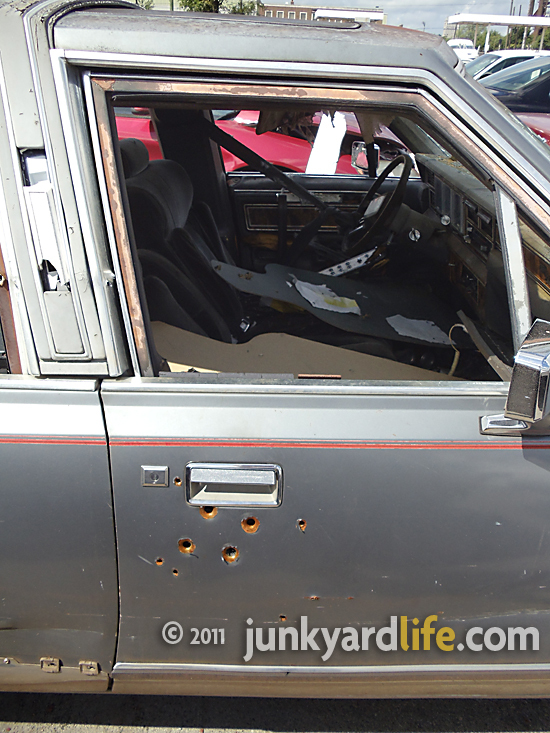 Winning bidder owns a Town Car and gets targets to practice their Second Amendment rights. 1981 Lincoln Town Car. 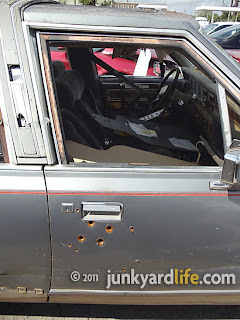 Yes, those are bullet holes. Time to reload. Ford's Crown Victorias, which have been limited to fleet sales since 2008, will also cease production this week as the Panther platform ends. 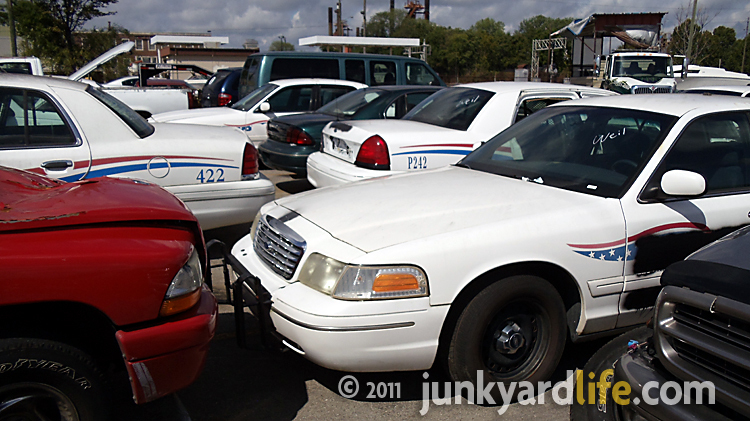 The last Mercury Grand Marquis, also on the Panther platform, rolled off the assembly line in January 2011. Stock up on parts if you own one. Somewhere, somebody is reloading. 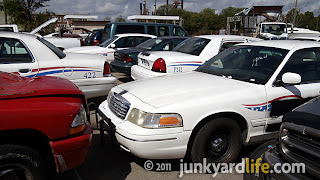 These Ford Crown Vic police cars were built on the Panther platform as well. 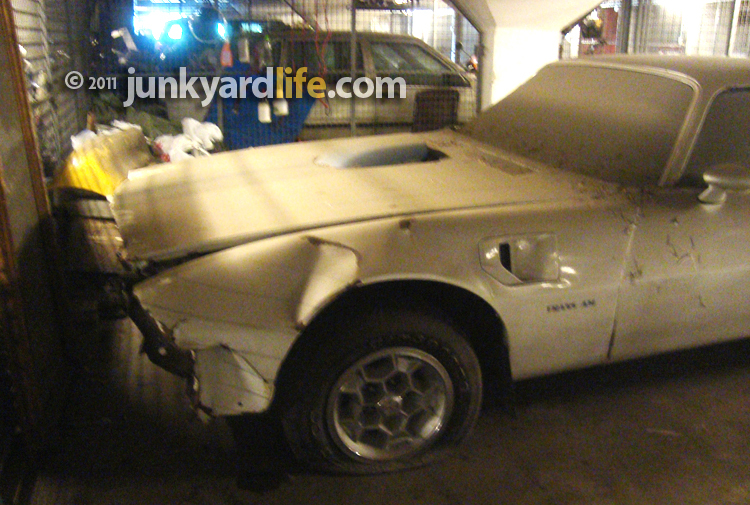 Barn find Trans Am finds previous owner 30 years later. Sweden's Thomas Rosenborg placed a "want" ad in his local newspaper seeking a 1969 Pontiac GTO. A few days later, he received a call from a woman wanting to sell a slightly damaged Trans Am that had been parked since 1993. Rosenborg, a long-time Pontiac fan, decided to make the 250-mile trip to look at Anneli's Trans Am. A quick check of the VIN number and Rosenborg was shocked. "Unbelievable! 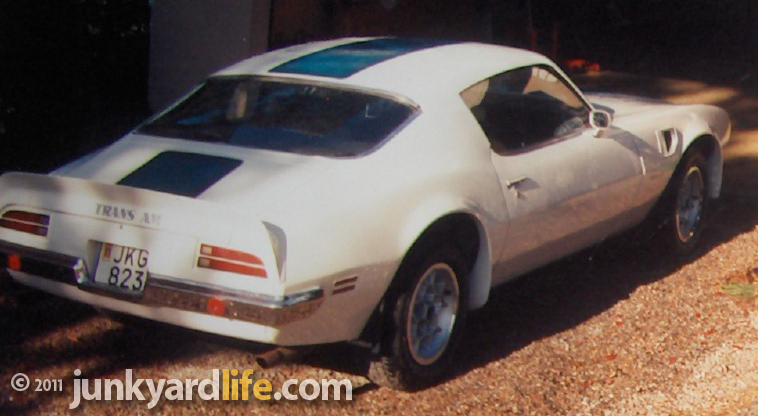 It was the same 1971 Trans Am that I owned during the summer of 1981," Rosenborg said. 1971 Pontiac Trans Am 455, 4-speed barn find in Sweden. 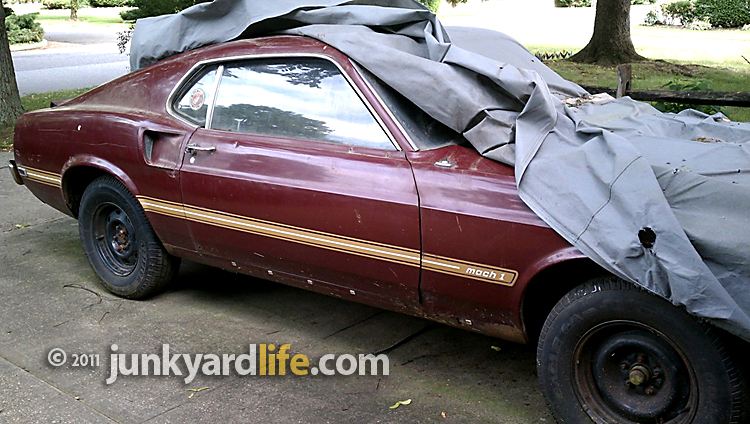 Barn finds and tragedy go hand in hand. 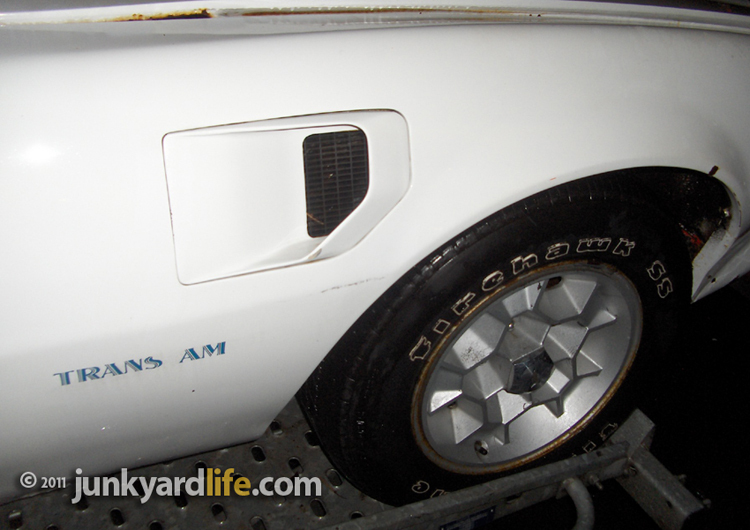 This '71 Trans Am, one-of-885 four-speed V8s, once belonged to Anneli's brother in Sweden. Anneli (top photo) took ownership of the car in 1993 after her brother's death in a motorcycle accident. "Her brother bought the Pontiac in 1989 and had just finished restoring it before he died in 1993," said Rosenborg. The Cameo White Trans Am spent years parked in Anneli's basement without a scratch. 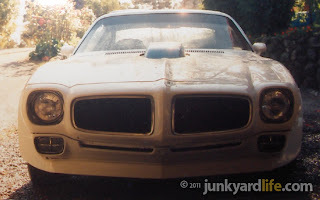 In 1998 a friend insisted on showing Anneli the power of her Pontiac. It was a mistake. Rear-wheel drive V8s with positraction can be a handful while performing burnouts and imitating Burt Reynolds' driving in "Smokey and the Bandit." Unfortunately the rare Poncho suffered front end damage during the smoke show. 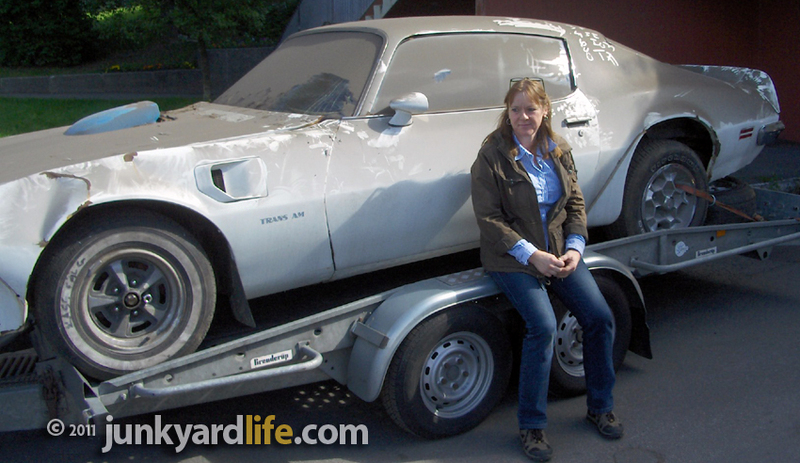 Rosenborg's 1971 Trans Am barn find washed and ready to unload in Sweden. The 55-year old Pontiac enthusiast would like to restore the T/A as a father-son project but it will not be a numbers matching car. 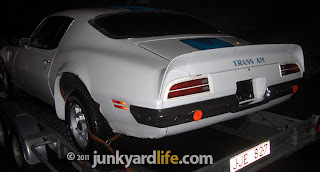 "The Trans Am's original 455-cubic inch engine was blown to pieces," said Rosenborg. 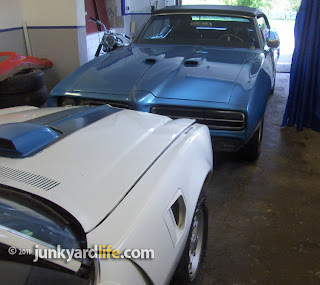 "During the 1970s many American muscle cars made their way to Sweden." 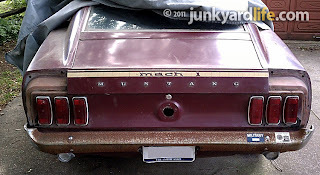 Matching number cars were less of a concern in those days. "Then, no one was asking 'matching numbers,'" said Rosenborg. 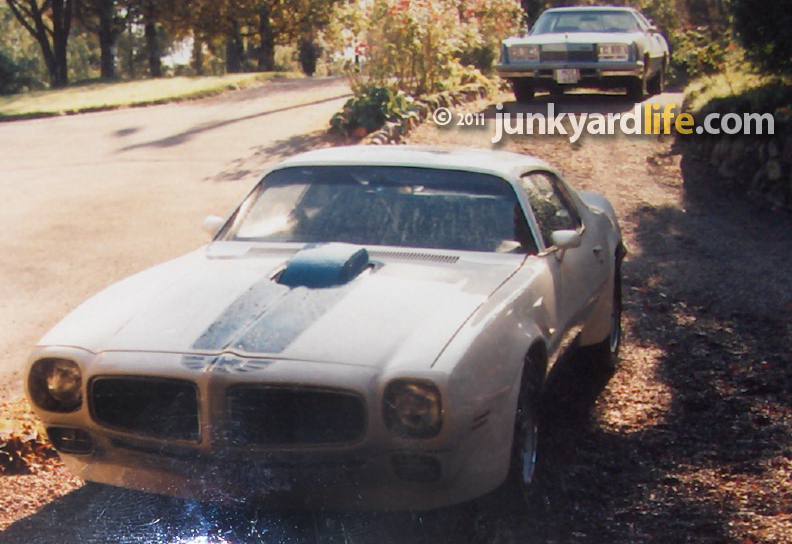 1981 photo of Rosenborg's 1971 Pontiac Trans Am in Sweden. 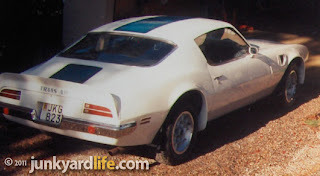 The recent success in finding his old 1971 T/A has fueled Rosenborg on a search for a 1972 Pontiac Formula 455, four-speed that he once owned and restored during the 1980s. 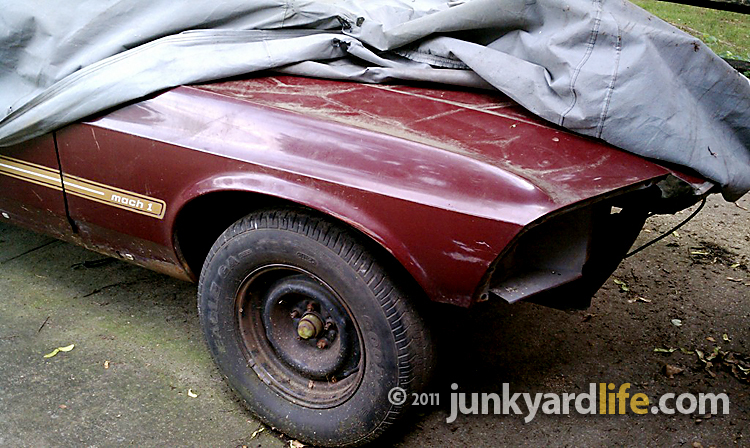 "The are many rare cars still standing in garages and barns in Sweden," said Rosenborg. 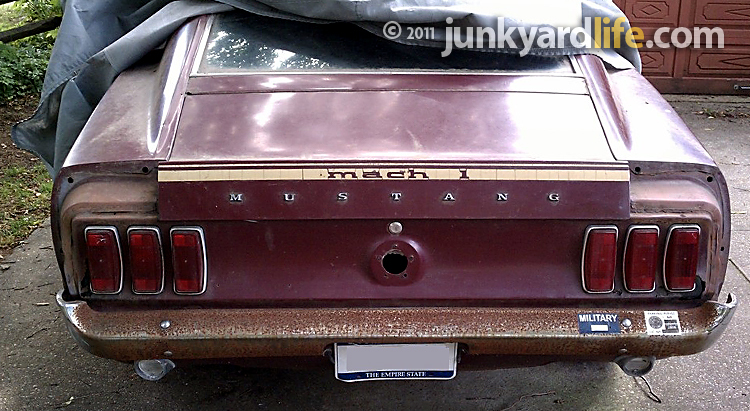 "I'm chasing only Pontiacs." 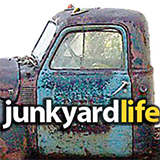 Rosenborg shares the what many junkyardlife fans know as fact. "You cannot imagine how many broken dreams, restorations that run out of time and forgotten cars that have been sleeping for decades." 1981 photo of Rosenborg's 1971 Trans Am in Sweden. 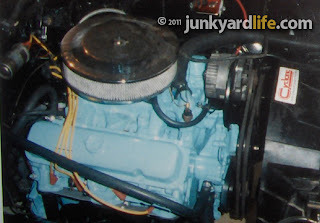 1981 photo of the 400 Pontiac engine in Rosenborg's Trans Am that he recently repurchased. The original 455 engine is long gone. Sweden's Thomas Rosenborg paid $3,000 USD for this 1971 Trans Am 30-years after he owned it the first time. Rosenborg unloaded his barn find 1971 Trans Am and parked it next to his recently restored 1969 GTO convertible.